We promised more details … and with four days lest until National HIV Testing Week, here they are: some more images of some of the ambassadors signed up for 2015’s campaign. 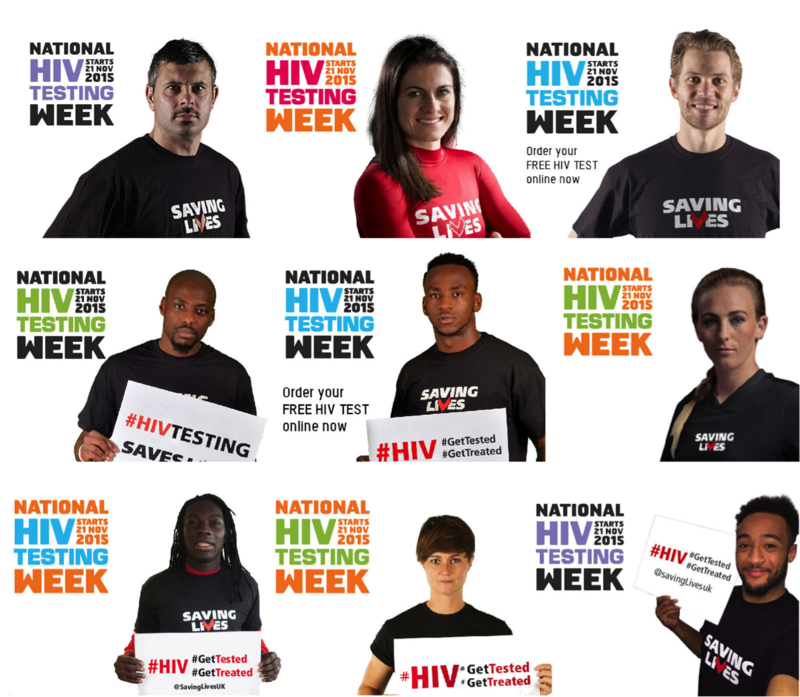 This year, we’ll be raising awareness and offering 1000 free postal HIV tests to anyone in the country via HIVTestUK.com..
Our latest slate of supporters includes Birmingham City captain Paul Robinson, England Ladies star Karen Carney, plus the USA’s Jonathan Spector, Norwich’s Youssouf Mulumbu, West Brom’s Saido Berahino, Vauxhall England Women’s Player of the Year Toni Duggan, Swansea’s Bafétimbi Gomez, London 2012 medallist Sally Walton and Saving Lives stalwart Nathan Redmond. Thanks to every one of them! Next PostSix Days Until National HIV Testing Week!